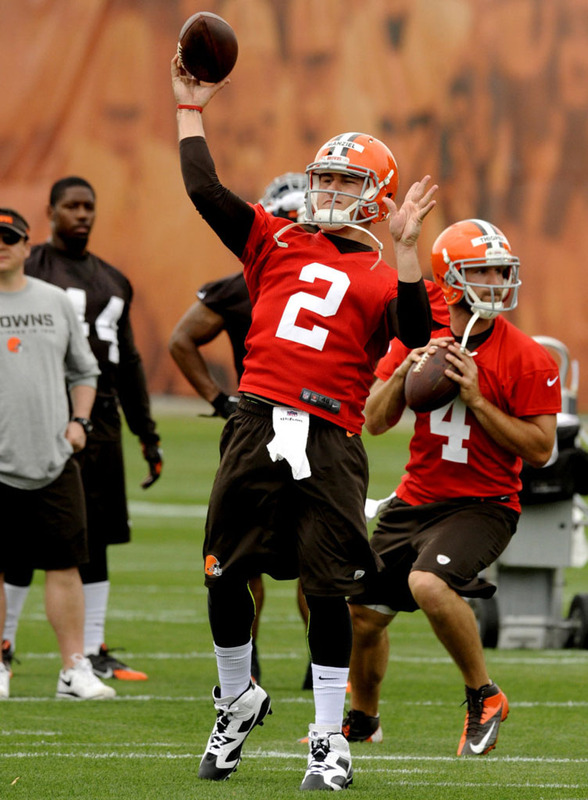 Is Johnny Manziel being shifted over to the Jordan Brand? Is Johnny Manziel being shifted over to the Jordan Brand? 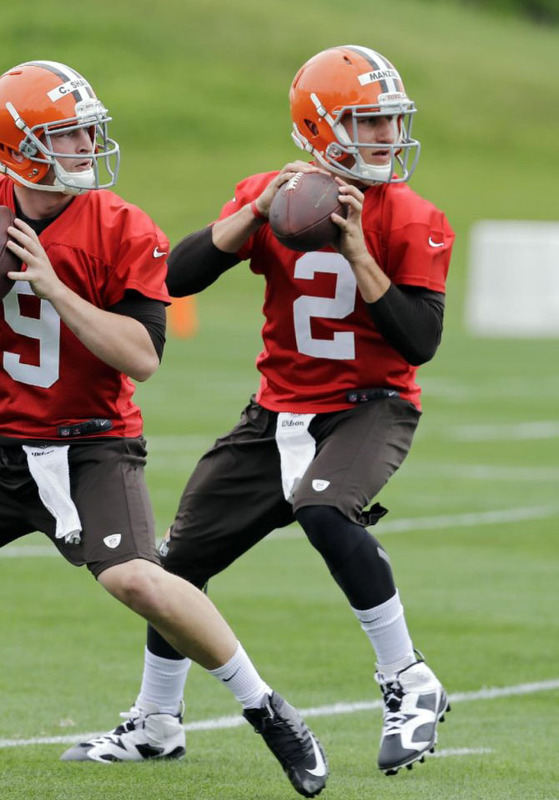 That discussion may be a bit premature to have right now, but the rookie quarterback was spotted taking snaps at today's Cleveland Browns OTAs in Air Jordan 6 cleats. 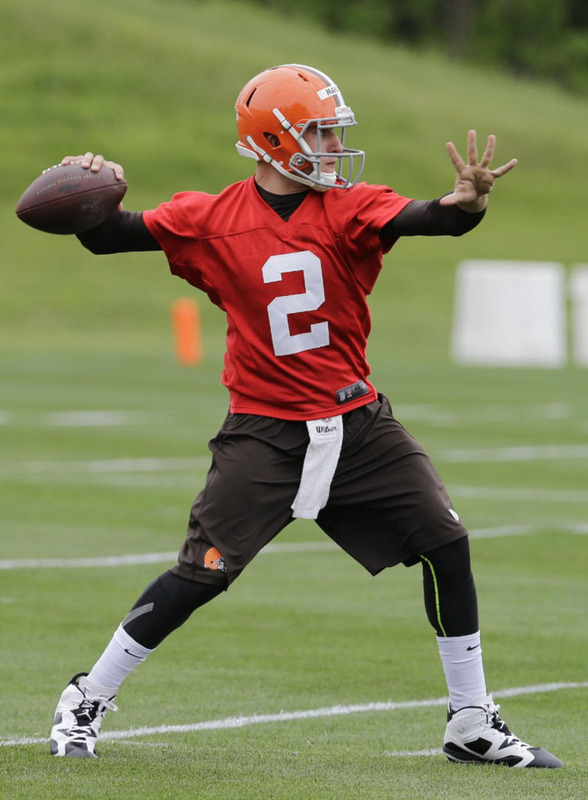 Manziel, the 22nd pick in the 2014 NFL Draft, signed a multi-year endorsement deal with Nike in March. In previous practices, he laced up the new Nike Vapor Carbon 2014 Elite. Jordan Brand has been pushing cleated versions of the Air Jordan 6 for baseball and football throughout the year. You can buy a pair of Air Jordan 6 TD cleats now for $135 at Dicks.